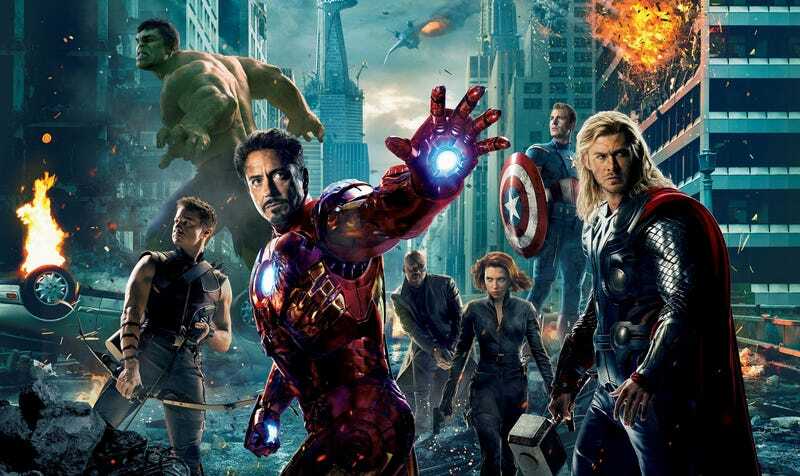 A Look Back: Where Do The First 10 Marvel Films Rate Up To Each Other? 2015 sees the end of Phase 2 of Marvel's grand cinematic universe scheme and so far it seems to be working well for them, with many financial successes. With the release of the (rather weak honestly) Ant-Man trailer and the up coming release of Age of Ultron, lets take a look back at the previous 10 Marvel films and see where they stack up next to each other. Remember that this is just my opinion so feel free to disagree with me and write up your own lists in the comments. Also yes, there will be spoilers. Iron Man 2 is a disaster of a film that feel amazingly rushed in every aspect with the exception of the visual effects and in the end, feels completely unnecessary, made only to be a tie-in for the the Avengers. It is also the one I have the most to talk about. From a story perspective, it brings up interesting ideas, but never goes through with them. Stark worries that his farther took credit for someone else's work thus making most of his wealth dirty? glossed away with a few lines. Stark's Alcoholism, never fully explored. Stark's pending death, resolved with no consequence. World powers building there own suits, ignored. the US Government wanting the suits, oddly enough they win with War Machine even though the message of the films seems to imply they shouldn't, huh. The villains are weak, even though Vanko (whiplash) should have been a very strong villain and maybe a bit sympathetic considering he has legitimate grievances with Tony. Black Widow shouldn't of been in this film as she only serves to clutter an already cluttered film and a lot of what she did should of been given to Pepper who comes across as useless, with the exception of one scene at the very end. The worst part of the film is the scene where Stark is discussing about what he should do for his final days to Widow and she recommends him to go nuts. What? Why would you tell him that?! He's obviously being sincere and serious there (and the film seems to imply that she did it intentionally even though that makes no sense) and all that's going to cause is massive damage and possibly a lot of deaths, which what do you know! There is a lot of property damage caused and the only reason that there was no deaths was because of the intervention of War-Machine. Finally, like I said in the opening paragraph, the film feels absolutely unnecessary, nothing in the film is needed for the Avengers and all set-up is either ignored or completely inconsequential to the film. Hell, even if you think they needed to have Black Widow in a film before the Avengers, then have her in her own film, trust me, it would have been better then this one. Thor: The Dark World should of been a very good film, but because of many bad decisions, the film was hurt and was really poor in my opinion. A lot of the comedy, especially that of the human characters felt forced in, not fitting the tone of the film at all and seemed to have been put in to appeal to the lowest common denominator. The worst being the scene at Stonehenge which makes no sense. What makes the comedy worse is that it seems that a lot of stuff was cut which was more interesting. Then there is the weak villain (even weaker then Iron Man 2's villains) and over exposure of Loki. I could care so less about the Dark Elves in this film and just seem wasted while Loki was given to much screen time due to his popularity and as such, the actual villains are not given enough time to be a threat for me to care. The big problem with the Hulk film is that its completely meh and grey. The acting was meh, the CGI was meh, just everything about the film was just bland. It's probably why it's the one film that people seem to forget, nothing in it is needed for the other films and all set-up in this film has been completely forgotten (I doubt we will see Leader in the film though possibly in the TV series if they care enough). Yeah not a fan of the Thor films if you can tell though the first film is far better then the second. That being said, there are a lot of problems like Odin being an absolute idiot and causes a lot of the problems in the film (and in the second film now that I think about it). The third act being rather dull, with the mech being not a worthy threat. The comedy though better following and sometimes funny, can feel forced. Then there is the acting, something I feel the second one improved on. The acting always feel too stoic, mostly with the Asgardians which makes the film sound odd, I'm glad they didn't keep doing that. All the mistakes from the second one, gone. I'll give kudos to them, they obviously cared enough for the property to learn from the negative reception of the second and made a rather enjoyable film. The plot feels cohesive with all the themes explored and well discussed. The film is not cluttered with characters and it doesn't feel like it was only made with tie ins to the other films in mind. My problems are more personal opinions like I wished they covered his anxiety problems more and I wish they properly explained how they fixed his heart (does he have a big hole in his body now?) because that seemed impossible and if he could do that, why did he not do that before? For me, the film is a dumb ride, not a lot of thinking required. This is the one I have the least to talk about, it just a really fun film that does it job at being an enjoyable ride. The film has a style that really helps it differ from the rest of the films, with its 40s US propaganda like feel (basically what Frank Miller tried to with Holy Terror and failed horribly and disgustingly). The one flaw I have with the film is that I think that the opening scene should have omitted of Shield finding America frozen. I think it hurts the ending and ruins the surprise, especially if unlike most of us comic book and superhero fans, if you didn't know about the future jump ahead of time. The first one of the entire series and still the best in my opinion. The film works well all the way through with a great, tight plot. The acting has top notch from everyone that helps make the film into classic. The first half is the best, with Stark building the mark 1. The atmosphere is perfect and really helps make you understand Stark's motivation for the rest of the film. Here is something confusing though, that freeze gun in the film, why was that not ever mentioned or shown again? That could of really been useful and it is not something that Stark would have be against using given he is a okay with killing. Lastly possible big spoilers for Ant-Man so ignore if you care about not being spoilt. I heard rumors that the original Wasp is already dead when Ant-Man begins. If that's true, up yours Marvel! Wasp is a far more interesting character then Ant-Man and deserved a film long before him. That would a massive disservice to Wasp fans and a waste of a great character if these rumors are true.